Quality ammunition supplier, dealing direct to the public; providing best value for your money. Whether you're a recreational shooter, hunter, collector, competitive club shooter, dealer, farmer or professional firearm user, Shooters Union is representing YOU and your rights. 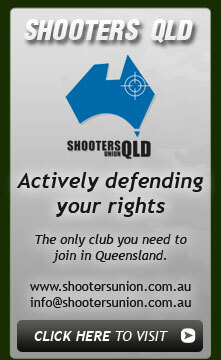 The Queensland Military Rifle Club was formed in 1984 to cater for military rifle shooters who wanted more variety and activity in target shooting. Selling a large collection of antique armours & weapons. Specialising in vintage service rifle re-barrelling, bedding, repairs, modification and accurizing, as well as the importation of firearms, parts and weapons, private or commercial. Unique Munitions specializes in hard to get and obsolete ammunition. Our main line of production are Australian 303 wildcat calibers and historicity military calibers such .455 & .310. We do produce custom ammunition on request with a Minimum order of two hundred round to set up, if we need to reform brass to manufacture custom case for your ammunition this will add to production cost. We intend before Christmas to have 450/577 Martin-Henry and .577 Snider in production. If you have a rifle or pistol that you can't get ammo for drop us a line and will see what we can do. Newcastle Armoury can assist in servicing the requirements of rifle, shotgun and pistol shooters. We can help with new and used firearms, ammunition, reloading equipment and components, cleaning equipment, firearms safes, accessories and general gun related advice.